Last night when I was up with some garden décor idea suddenly a feeling came to my heart that we have done a lot of stuff for the people, but we must also do something for the pets too. Infact many folks were also asking a lot for some ideas that could be recycled for the pets. 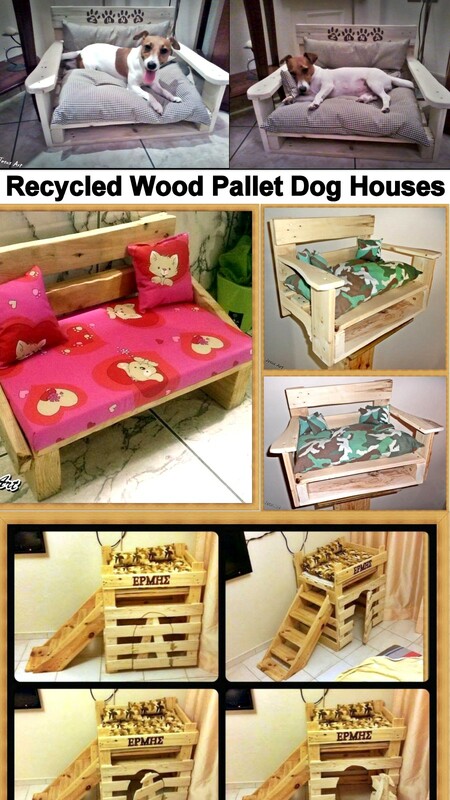 Then I thought that we must recycle some wood pallet made dog houses. This would be a really great idea to make our pets happier and safer. In this way they would be having their own safe house where they can enjoy sleeping or spending time. 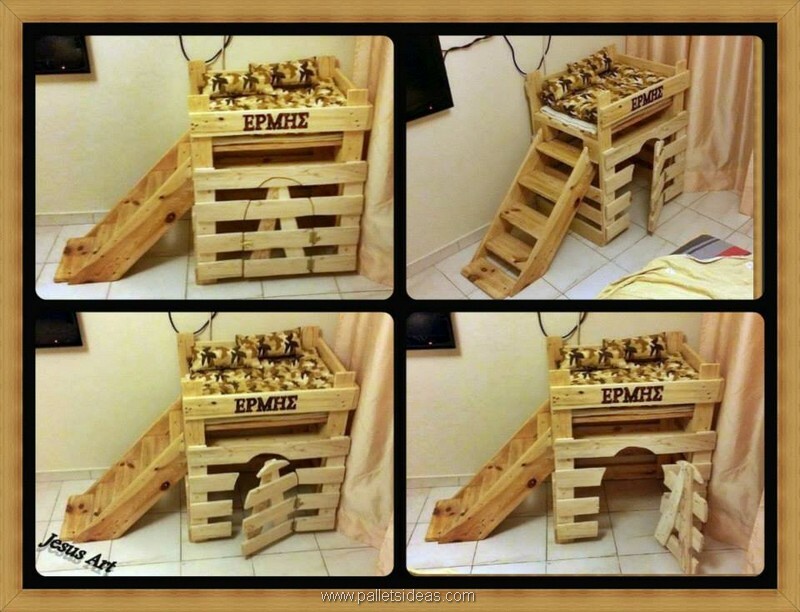 This very first compartment like pallet wooden made dog’s house was made with some most aged shipping pallets, and that could be easily seen on the pallets. It has got a wide and tall very comprehensive cabin where the dog would be completely safe. 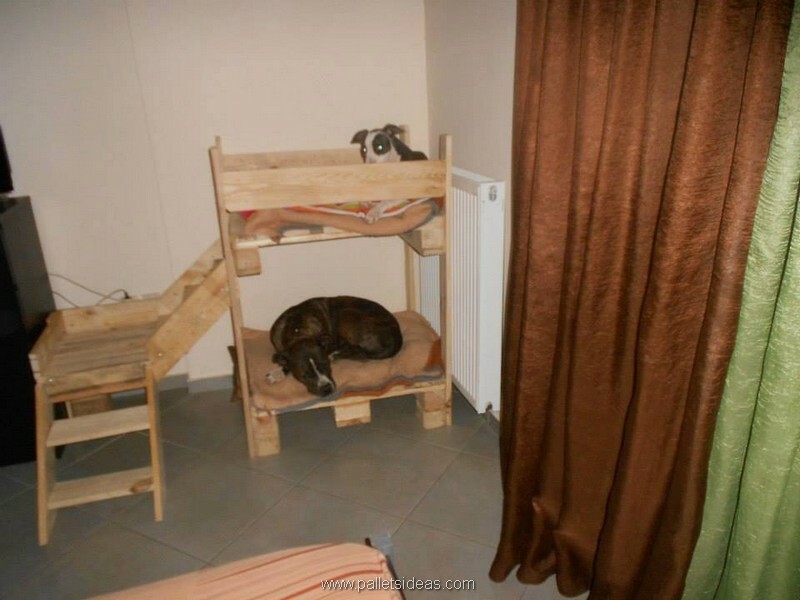 Look at the corners of this dog’s house, this was again made with some broken and deteriorated shipping pallets. But that doesn’t make any difference because we have stained it very nicely. 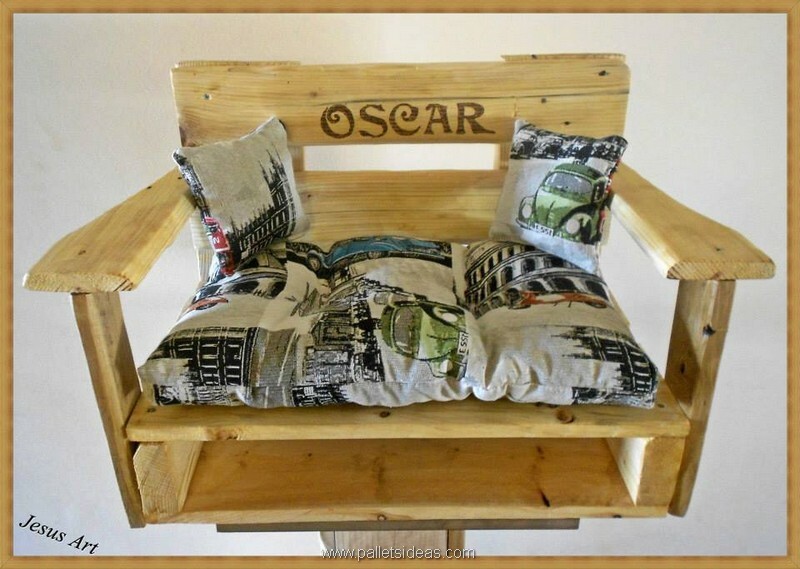 Overall it seems like a normal pallet wood couch but for the dogs too it would be equally luring and comfortable. As here we can see, dogs are after all the animals. They have got nothing to do with the designs but the only thing that bothers them is the comfort and luxury. Like they would be very happy sitting on a fluffy and soft cushion rather than considering the design and stuff. Wow, this one is really cute. 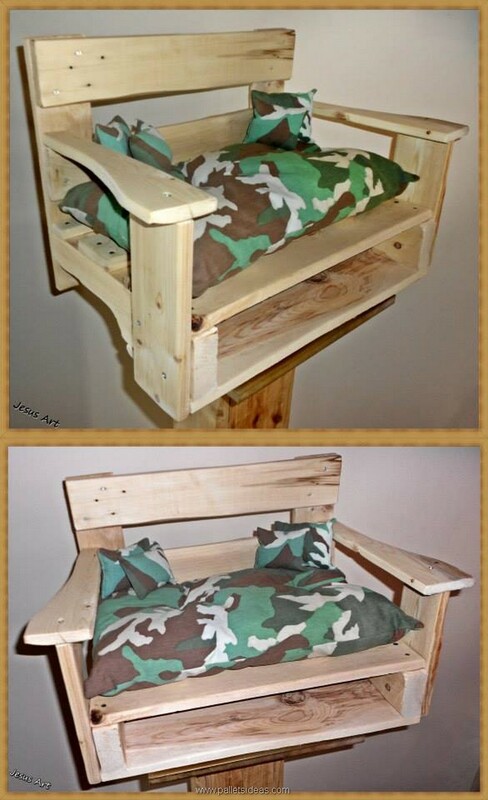 This really reminds me of the kids bunk beds that we have made countless times in some earlier wood pallet projects. There are some people who love their pets just like their kids, so here’s something special for their animal kids. 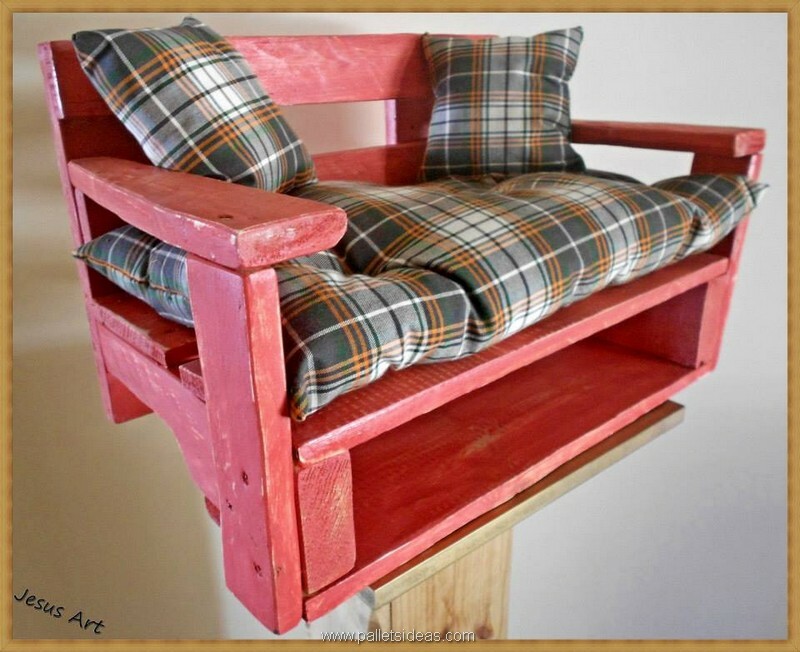 This bunk bed is again made with some rustic wood pallets. 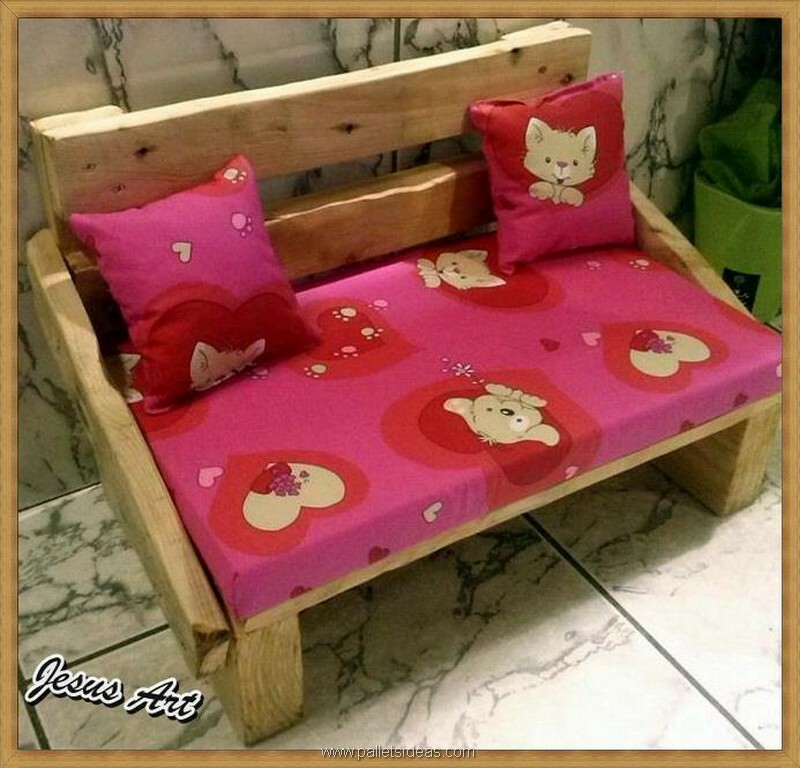 This was actually made for the pair of pets that are living in the same house. So we have specified this area especially for them, the upper portion is for the smaller one and the ground floor bed is for the big boy. 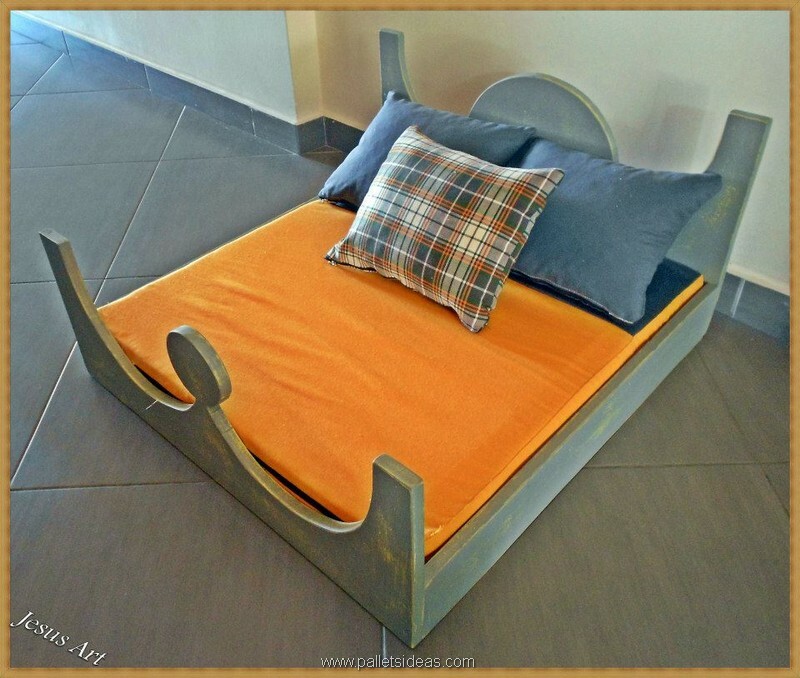 Looking at this bed, this would be a bit harder to believe that this was really made for the dogs. As we can see very stylish mattress and cushion covers that have got some finest shades. 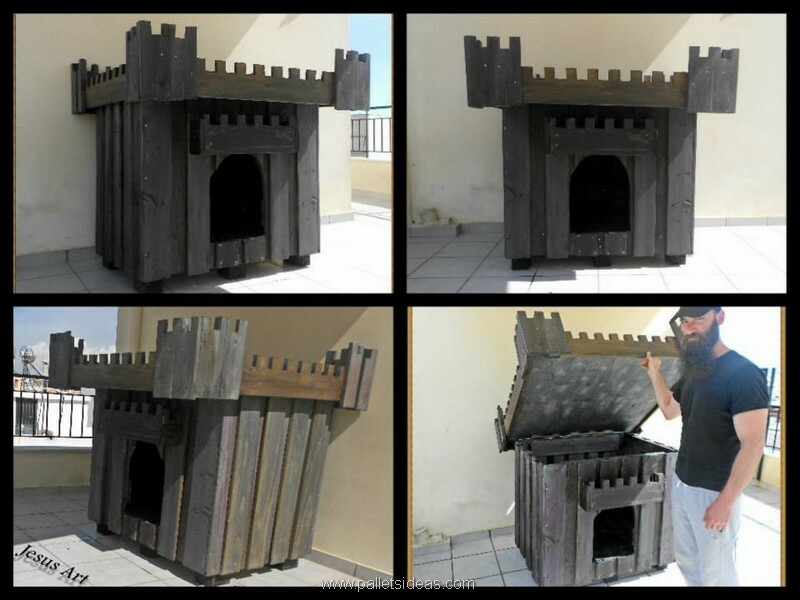 This would make a really great place for your pet. 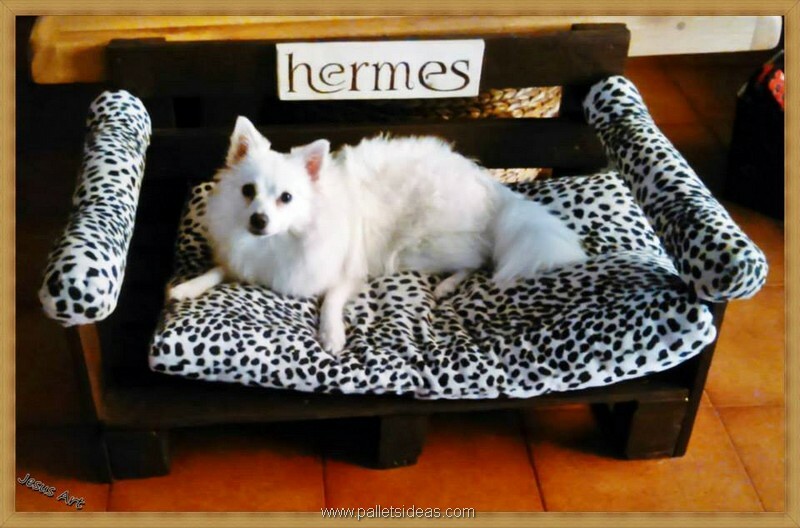 These simple designs of dog beds are introduced just for your ease, so that the beginners could also give it a try for their pets. 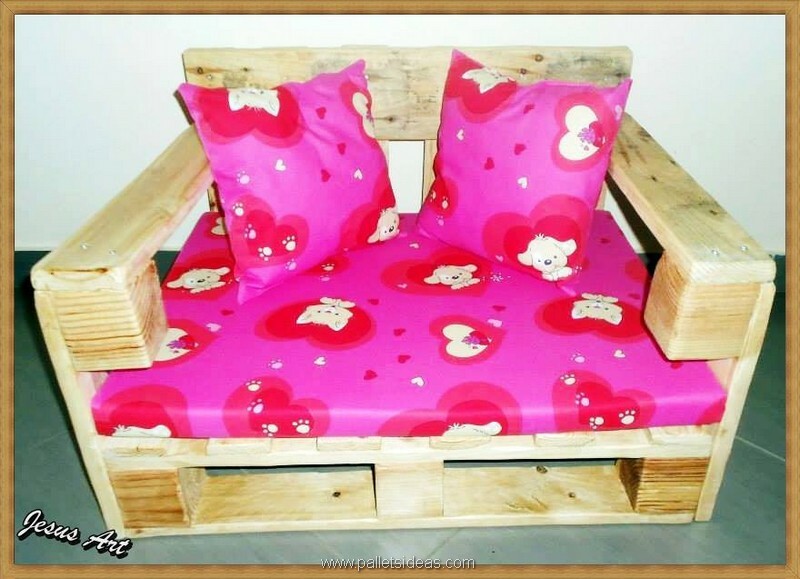 They are just like the normal wooden pallet couches that we made some countless times over the period of time. And in the end I was just desperate to bring something exclusive, something phenomenal that would be a real grabber. And this is really something worth noticing. It has got a very beautiful design throughout the frame. This curvy pattern has added very much to the beauty of the dog’s bed with a stylish headboard on the rear.